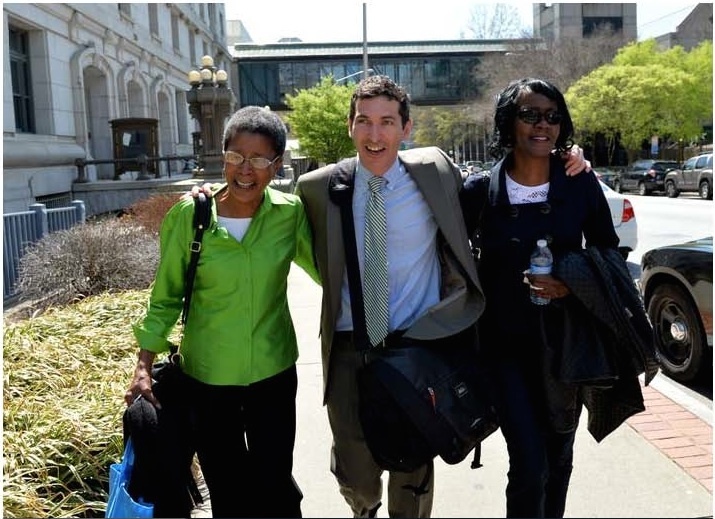 Dessa Curb and Sandy Wallack have been talking to quite a few reporters and getting a good deal of press coverage since the APS Trial verdict was read on April 1. Here are a few links to some of the most recent stories and interviews. ATLANTA – MAY 2015 – On March 29, 2013, 35 former Atlanta Public School educators were indicted for conspiring to violate the Racketeer Influenced and Corrupt Organizations (RICO) act and various other offenses including false statements and writings, false swearing, influencing witnesses and theft by taking. Twenty-one of those charged pled guilty prior to trial through negotiated plea agreements. Twelve defendants proceeded to a highly publicized trial, which commenced with jury selection on August 11, 2014. On April 1, 2015, 11 of the 12 educators standing trial were convicted. Only a single one of those originally charged in the case was acquitted of all charges: Dessa Curb, represented by Atlanta criminal defense attorney Sandy Wallack. Nichole Black interviewed me about my usage of TrialPad in article titled, Today’s Tech: How A Criminal Defense Lawyer Uses Trial Presentation Technology, posted on Above the Law. Here’s a quote: “Not only did TrialPad streamline the trial presentation process — it helped Sanford stand out from the pack. “Because everyone else essentially relied on ELMO for trial presentation, it made me appear more organized and effective,” he says. “I had positive reactions from other lawyers and the witnesses. In fact, in one instance, when I did a call out on a document and it popped up on the screen, the witness said something to the extent that that was the coolest thing she’d ever seen!” To read the rest of the article, click here. 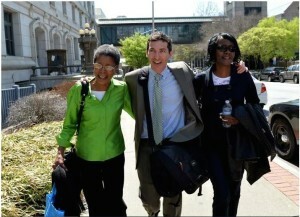 Dessa Curb, Sandy Wallack and Curb’s sister, Aleesa Williams, leave the courthouse after being acquitted in the APS cheating trial. After many long months of work and deliberations, I am pleased to report that my client, Dessa Curb, a teacher at Dobbs Elementary, was found not guilty on all charges when the final verdict was read. She is the only one of the 12 on trial that was found not-guilty and the remaining defendants were taken into custody immediately after the verdicts were read. See below for some of the early press coverage of the verdict. After 8 months of trial, the fate of the defendants in the APS cheating trial is now in the hands of the jury. Here are a few articles on this topic. After 8 long months, the APS trial jury heard closing arguments in mid-March. Here are a few of the latest links to news coverage of the last portion of the trial. While Beverly Hall, former APS superintendent, was often discussed during the APS cheating trial, she was unable to stand trial due to her battle with breast cancer. As the trial was coming to a close, she passed away due to the disease on March 2. Here are some articles on that topic. The media coverage of the trial has slowed to a trickle, but here are a few of the latest stories and photos from the trial.